Home/Nutrition/Bread Making – Interesting Facts You Need to Know! There are different recipes for bread making. The ingredients vary according to what type of bread the maker wants to make. Bread is available in many flavors nowadays to delight people on several occasions. It can be eaten alone or served with other foods as a perfect combination. Bread recipes can be typical and not everyone is fond of bread making as it does not turn out good sometimes if anything goes wrong. So, what are the do’s and don’t of bread making and using the right ingredients? Does it have to have flour, eggs, sugar, yeast, and bread necessarily? Here are the answers to all your questions. What are the Basic Ingredients of Bread Making? 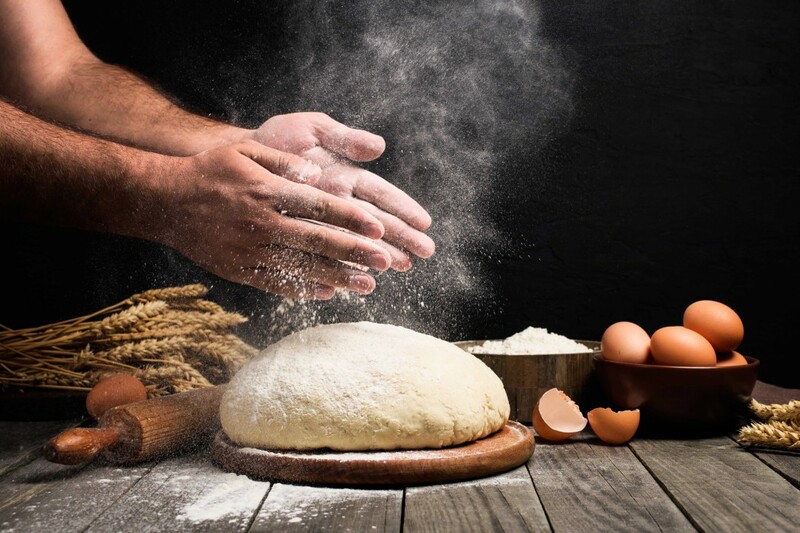 The basic ingredients to make bread are flour, sugar, yeast, eggs, and water. However, these ingredients can be substituted with other additions in the recipe but that truly depends on what you want. You cannot imagine a bread made without this ingredient so there are various types of flour used. However, white flour contains the most gluten while other flours will not rise high enough to give you a soft bread. Instead, the bread made with any flour other than white flour will be dense. Now, coming to the fats in bread making. Fats are said to inhibit gluten formation and they do not allow your bread to rise as high as you want. But they can still give you a tender crumb and improve the shelf life of the bread. Eggs are the rising agent for bread making as they make your bread soft and tender with the fats in the yolk. They are leavening agents which work wonders for cakes and pieces of bread. Adding no more sugar than the yeast can eat is essential for bread making as more sugar will inhibit gluten formation. Unless you plan to add extra gluten, do not think of adding extra sugar to the bread. Sugar is usually for making the bread tender and holds in moisture. It is therefore recommended to add only 2 tbsp of sugar in the recipe. Does bread have milk in it? No, not necessarily but it is optional. A liquid is necessary for bread making but you do not need to add water necessarily as you may opt for other liquids such as milk. Milk adds to the nutritional value of bread with its proteins. So, milk is not a necessary part of bread making but it can be added if you want some extra tenderness and nutrition. Just like milk, other dairy products can be added as a substitute in baking. Like Yoghurt can be substituted in baking recipes. Learn more about the substitutes in baking. Other additional ingredients depend solely on the baker if he wants to be creative or not. Savory slices of bread have a variety of add-ins to be added such as garlic, herbs, cheese, or olives. While sweetbreads can have all toasted nuts and fruits added to boost its flavor. How to get Different Crusts of Bread? You may wonder how bakers are able to get a different crust over bread. Well, there are simple tricks that can be followed to get the same results. Whether it is about the crackly shiny crust, soft crust, golden shiny crust, soft sweet crust, or sticky sweet crust, it is all about playing with ingredients in the right way. Here are some steps to guide you along your bread making a journey. Crackly Crust: This is done by steam in the oven to have a humid atmosphere to help cracks appear on the outside of the bread. Steam injectors in the oven do this job well. Although you may opt for other methods such as keeping boiling water cast iron skillet at the bottom of the oven. Soft Crust: This is very simple. Just do not insert steam into your oven and you will have soft bread. Golden Shiny Bread: An egg wash will help you achieve the gold color on top of your bread. Soft Sweet Crust: Apply milk with added sugar on top of the bread. Sticky Sweet Crust: Apply syrup or honey on top of the bread as soon as you take it out of the oven. How to Master Bread Making Art? Another most important thing in bread making is to consider time factor as yeast takes longer to rise the bread by completing its life cycle. Take note of all the important steps and you will be able to master bread making in no time. Bread making is all about getting the right sponge before putting it in the oven. It can be a one time rise and also you may knead it all over again to achieve a higher rising sponge. The recipe and ingredients depending on the type of bread you want to make. People usually do not go for the hassle of bread making as it requires a lot of time and effort which they think is not worth giving a try. However, bakers find it satisfying to watch their bread come out of the oven just as they wanted it to be. There is no doubt about the flavor we can get by baking our own bread as nothing can beat the freshness and aroma of a freshly baked bread. So, there are basically 2 types of bread with further classification into their flavors. Quick bread and yeast bread are the ones people usually opt for depending on the time they have to prepare them. As the name suggests, quick bread is indeed quick to be made and baked. The recipe of a quick bread will almost always contain milk and fats to give it some tenderness. These are the bread which usually do not contain milk or any dairy product. The recipe will use the basic ingredients as discussed above, although add-ins are considerably fine to use. Does Eating Bread Make you Fat? While considering all the facts about bread making, let’s not forget some facts about eating bread. It is often assumed that bread makes you gain weight which is actually half the truth. Anything made from white flour will make you fat whether it is bread or pasta. So, it basically suggests that the type of carbohydrates make you fat and not just the bread alone. A slice of whole wheat bread contains 70 calories and only 1 gram fat. There are studies concerning the time of eating bread as that can also have an effect on your weight. Bread is a popular food around the world. It is estimated that we eat 55 loaves of bread in a year. Turkey is the country to have most bread consumption per year followed by Bulgaria. The healthiest bread includes oat bread, flaxseed bread, whole wheat bread, and rye bread. Can we Eat Bread Every day? Diabetic patients may be concerned about eating bread on a daily basis as it may contain higher levels of carbohydrates. Whole wheat bread is the healthiest form of bread which do not contain any fats. Hence, they are safe to eat daily and you may enjoy them whenever you want but try to eat in moderation.